Prof. Howard Lee was a Postdoctoral Fellow in Prof. Harry Atwater’s group in the Department of Applied Physics and Materials Science from 2012 to 2015. He received his PhD in Physics from the Max Planck Institute for the Science of Light in Germany in 2012 in the group of Prof. Philip Russell. 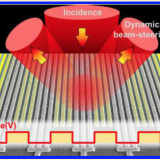 His dissertation “Plasmonic Photonic Crystal Fiber” presents a successful integration of plasmonic metal-nanowires into pure silica photonic crystal fibers, providing an entirely novel platform for investigation of the optical properties of propagating surface plasmon polaritons. He received his BSc in Applied Physics from the City University of Hong Kong in 2007. Dr. Lee is the recipient of the Croucher Postdoctoral Fellowship and his articles have been published in various journals, including Optics Letters, Optics Express, Applied Physics Letters, Advanced Materials, Nano Letters and Science. His research focuses on developing new techniques in nano-optics and plasmonics, including developing novel materials and nanostructure, to actively control the optical properties of plasmonic and metasurface structures for studying new optical physics and light-matter interaction at the nanometer scale, as well as advancing novel optical components with new functionality. Specific topics are conducting oxide active nano-optics, plasmonics, metamaterials, efficient plasmonic/optical modulation and coherent control, coherent plasmonic resonant networks, alternative plasmonic materials, tunable metasurfaces, and plasmonic devices/nano-circuits. 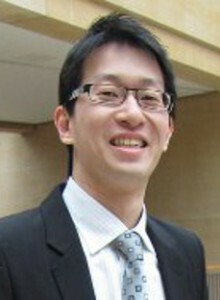 Dr. Lee is now an assistant professor at Baylor University and IQSE fellow at Texas A&M. For more information, please visit Prof. Lee’s website here .